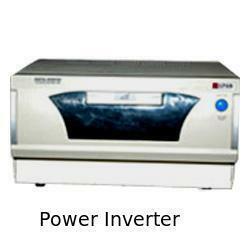 Leading Manufacturer of ups power inverter, power inverters and power inverter from Mumbai. 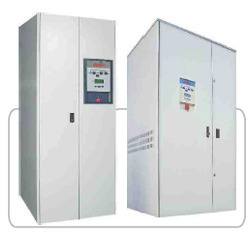 Enriched with industrial experience we with our team of vast knowledge in inverters are engaged in offering UPS Inverters also known as Uninterrupted Power Supply Inverters, as its name states this is specifically built to ensure that the electronic devices are working without strike even when there is no power supply. This enhances the service life of the electrical commodities. Since these are only created with use of industrial standard components this are highly durable and safe to use. We rule the market in offering a qualitative assortment of Power Inverters that is manufactured with utmost care and precision. These products are manufactured using top notched grade raw material and the latest technology in complete compliance with the industrial standards. The products offered by us are stringently examined under the supervision of our experienced professionals against several parameters of quality. These products are highly demanded in the markets and are used in all industrial applications. Enriched with vast industrial experience, we are involved in supplying a qualitative range of Power Inverters. These are engineered in accordance with international industrial standards and widely recommended by clients owing to its compact size and uninterrupted performance. 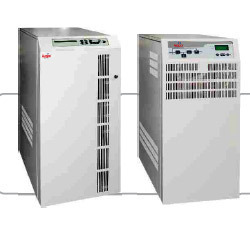 Our Power Inverters are very easy to install and maintain and widely preferred by clients for consistent power supply.